HMS E12 was a British E class submarine built by HM Dockyard, Chatham. She was laid down on 16 December 1912 and was commissioned on 14 October 1914. She cost £101,900.HMS E12 became trapped in anti-submarine nets in the Dardanelles. Her forward hydroplanes became entangled which sent her down to 245 feet. At the time, it was the greatest depth achieved by any British submarine. E12 managed to surface only to come under fire by shore batteries, but avoided further damage. HMS E12 survived the war, and was sold for scrap in Malta on 7 March 1921. Like all post-E8 British E-class submarines, E12 had a displacement of 662 tonnes (730 short tons) at the surface and 807 tonnes (890 short tons) while submerged. She had a total length of 180 feet (55 m) and a beam length of 22 feet 8.5 inches (6.922 m). She was powered by two 800 horsepower (600 kW) Vickers eight-cylinder two-stroke diesel engines and two 420 horsepower (310 kW) electric motors. The submarine had a maximum surface speed of 16 knots (30 km/h; 18 mph) and a submerged speed of 10 knots (19 km/h; 12 mph). 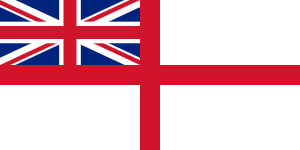 British E-class submarines had fuel capacities of 50 tonnes (55 short tons) of diesel and ranges of 3,255 miles (5,238 km; 2,829 nmi) when travelling at 10 knots (19 km/h; 12 mph). E12 was capable of operating submerged for five hours when travelling at 5 knots (9.3 km/h; 5.8 mph). E12 was armed with a single 4-inch QF gun mounted forward of the conning tower, and five 18 inches (460 mm) torpedo tubes, two in the bow, one either side amidships, and one in the stern; a total of 10 torpedoes were carried. ↑ Hutchinson, Robert (2001). Jane's Submarines: War Beneath the Waves from 1776 to the Present Day. London: HarperCollins. ISBN 978-0-00-710558-8. OCLC 53783010.